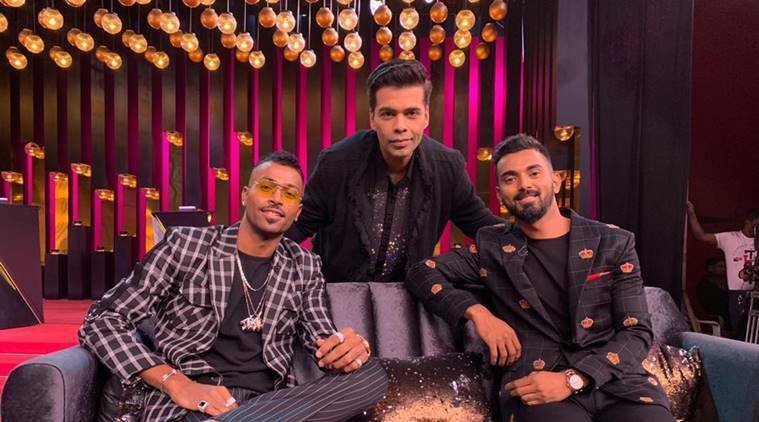 Hardik Pandya apologised for his comments on TV show Koffee with Karan which is hosted by Karan Johar. Many slammed his comments as misogynist and sexist. India cricketer Hardik Pandya has apologised for what many on social media construed as misogynist and sexist comments on TV show Koffee with Karan. In his brief apology posted on his Twitter account, Pandya said he “got carried away with the nature of the show” while not meaning to “disrespect or hurt anyone’s sentiments”. “We have sent showcause notices to Hardik Pandya and K L Rahul for their comments. They have been given 24 hours to give an explanation,” Chairman of the Committee of Administrators that runs the BCCI, Vinod Rai, told PTI. Criticism started coming Pandya’s way soon after and it is learnt that he was ticked off by the BCCI top brass. According to a source, his comments were deemed “crass and cringeworthy” and might have a bearing on whether Indian cricketers appear on “such non-cricket shows” after this. “It will be considered whether players should even be allowed to appear on such shows which have got nothing to do with cricket,” a BCCI source told PTI. To say the least #HardikPandya is horrendous a misogynist prsn who doesn’t feel the odr gndr has emotions @BCCI do u want these guys to take crkt forward. Twitter users weren’t pleased with Pandya’s objectification of women. “#KoffeeWithCricketers pandya came across as the Kim K of cricket world… Boasting of ‘conquests’ and possessions like a Desperado… The line of his family asking him how many women and him pointing out to them like a trophies is so sick … Grow up Pandya !,” wrote a Twitter user. On questions related to cricket, both KL Rahul and Pandya picked MS Dhoni as the better captain as against Virat Kohli. “MS Dhoni because I made my debut and it was fantastic,” said Pandya. Karnataka batsman Rahul also chose the veteran wicket-keeper batsman: “In terms of achievement, yes MS Dhoni.” On another tricky question, they were asked to pick better batsman between Kohli and Sachin Tendulkar, the duo went for Kohli, which didn’t sit too well with many on Twitter either.